​The process of successfully building a cruise or industrial ship is highly complex. 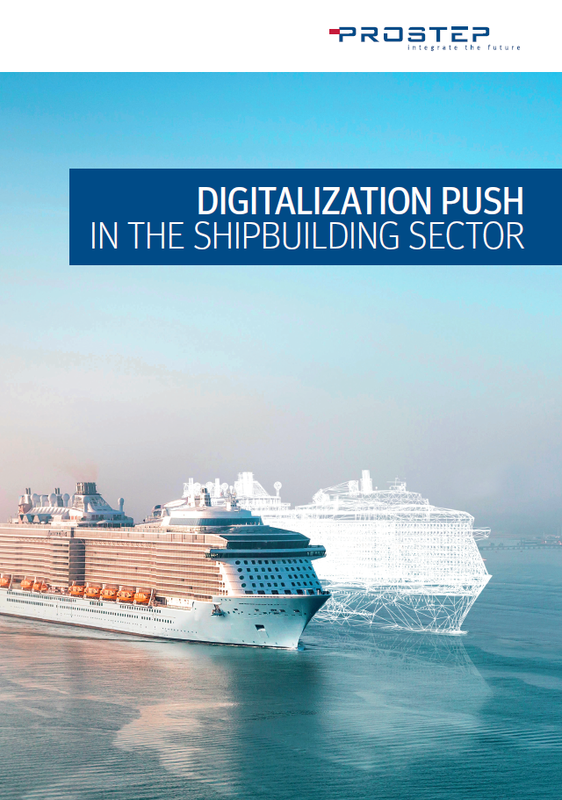 ​As with other global industries​, inefficient communication and data exchange persist in the world of shipbuilding. A number of companies still use outdated 2-D drawings to communicate complex product information. Outdated processes are subject to human error and often increase the time spent coordinating information. How can you ensure your CAD and PDM/PLM systems communicate effectively? How can you safeguard your processes and keep a continuous, updated data flow throughout your enterprise? Y​ou need a digital platform that optimizes processes and facilitates end-to-end digitization. You need to standardize the data flow between CAD and PDM/PLM systems and collaborate efficiently with other companies. You need PROSTEP. PROSTEP provides ​shipbuilding companies with options for automating and optimizing processes, allowing for lower company costs and increased competitive advantage. 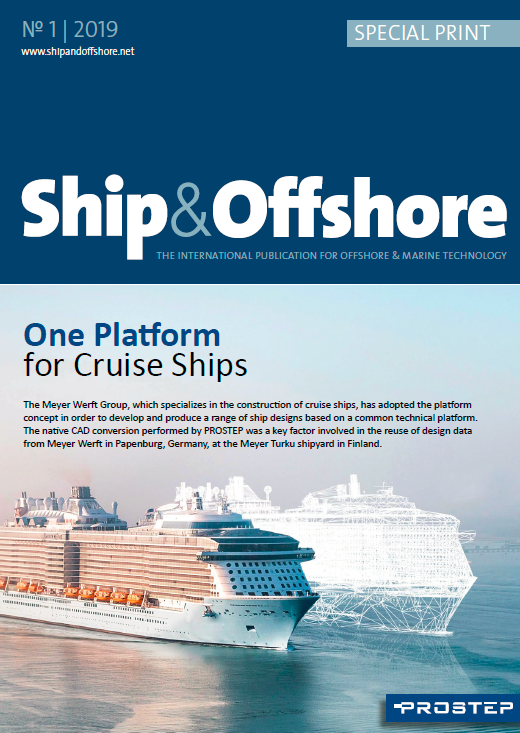 ​Read how Meyer Werft adopted the platform concept in order to develop and produce a range of ship designs based on a common technical platform. The native CAD conversion performed by PROSTEP was a key factor involved in the reuse of design data. How can you keep your processes efficient and enable supply chain data flow throughout your enterprise? PROSTEP explains the advantages of cross domain integration. Is a heterogeneous IT landscape preventing you from reusing mechanical CAD data? 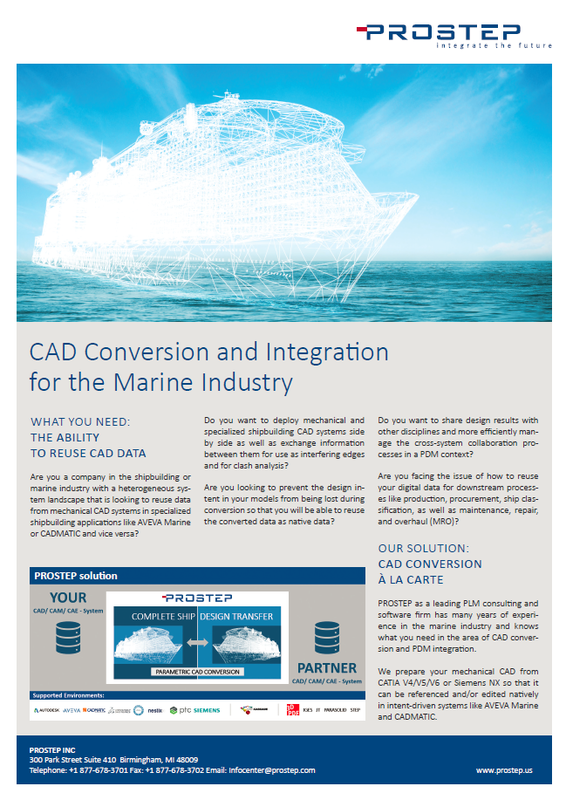 Read about reusing CAD data to save time and money and increase efficiency in specialized shipbuilding applications like AVEVA Marine or CADMATIC.